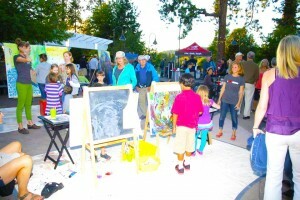 THANK YOU BEND FOR MAKING THE 3rd ANNUAL BASE CAMP STUDIO PAINTING MARATHON 5X5 CHALLENGE A HUGE SUCCESS! 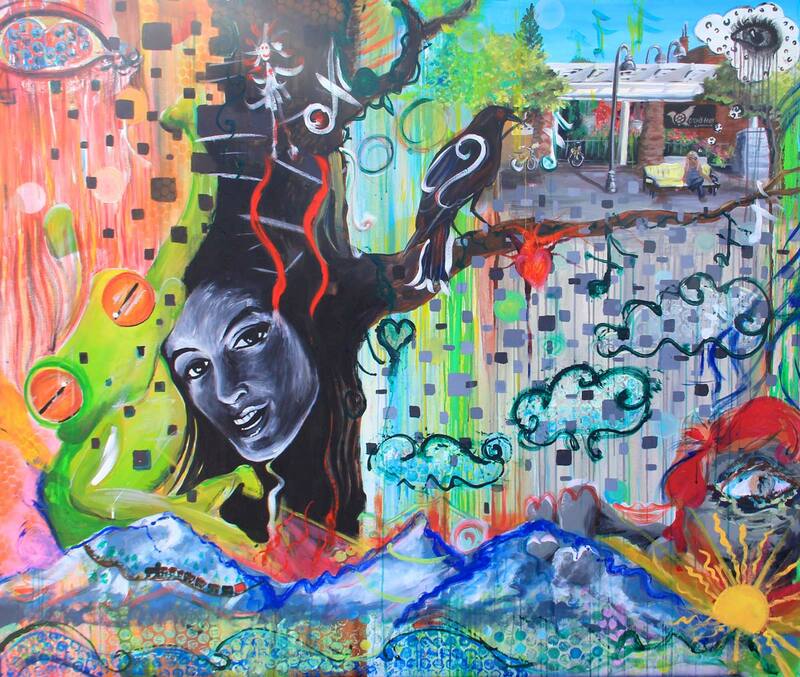 125 panels, painted by 25 local artists. 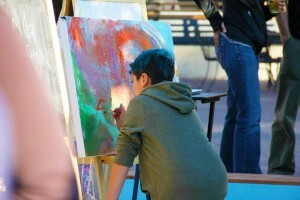 Ever wonder what makes an artist tick? 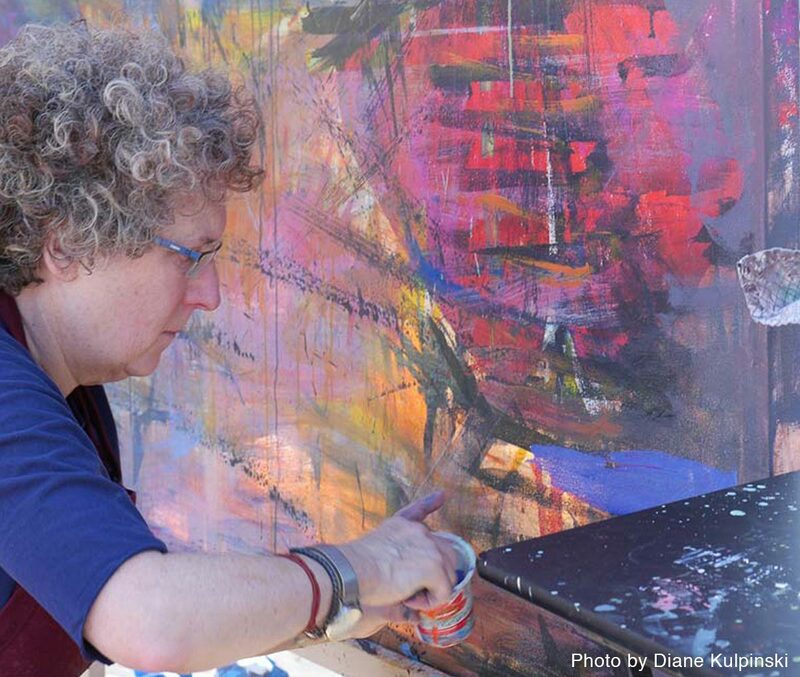 Did you know that much of the artistic process involves practice, study and iteration? 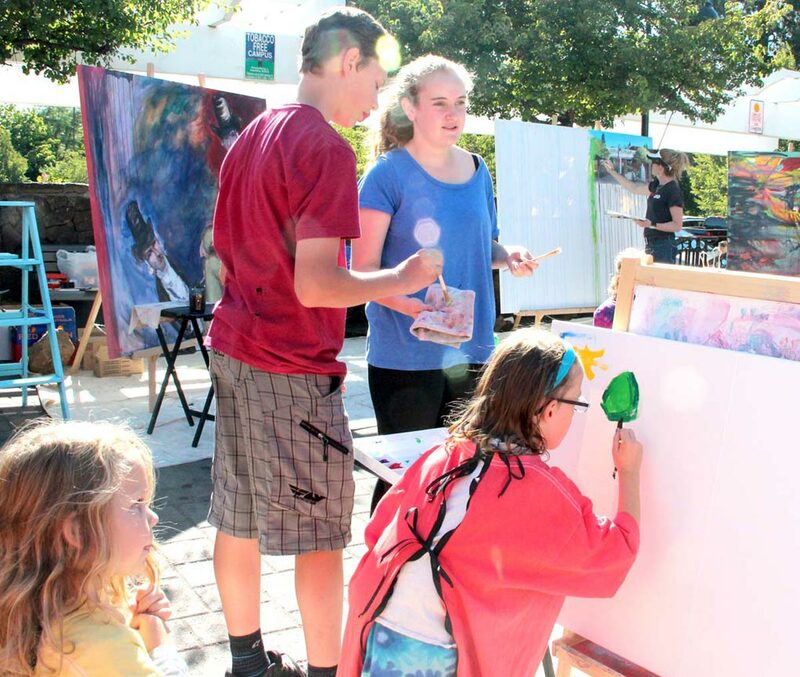 Take a visual journey into the artistic mind and join Base Camp Studio (the arts organization responsible for the now infamous Painting Marathons) as they challenge 5 teams to depict 5 objects at least 5 ways on their team panels. The 125 panels, painted by 25 local artists, are sure to create an incredible body of work, as the audience gains insight into the artistic process of iteration, the brilliance of collaboration, as well as the unique perspective expressed by each individual. A kids event will also take place from 4-7 pm. 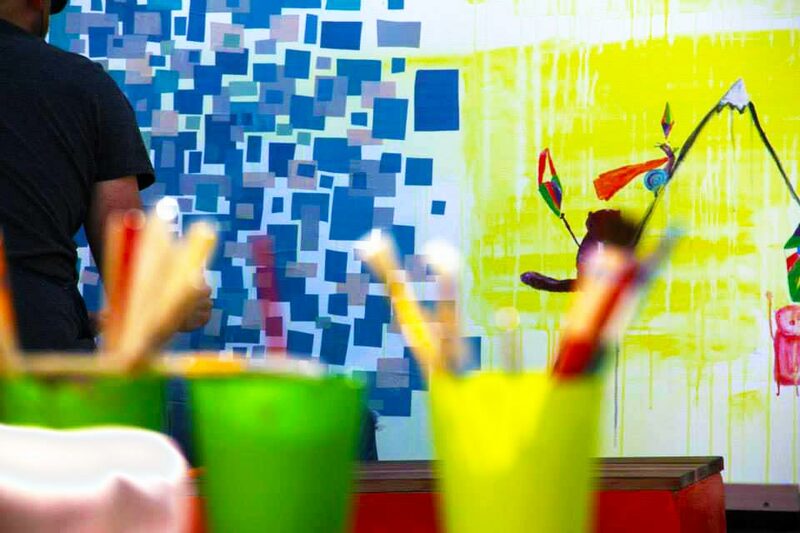 Young artists will have an opportunity to try their hand at rendering the objects as well, creating their own mural of iterations. Participation is free. 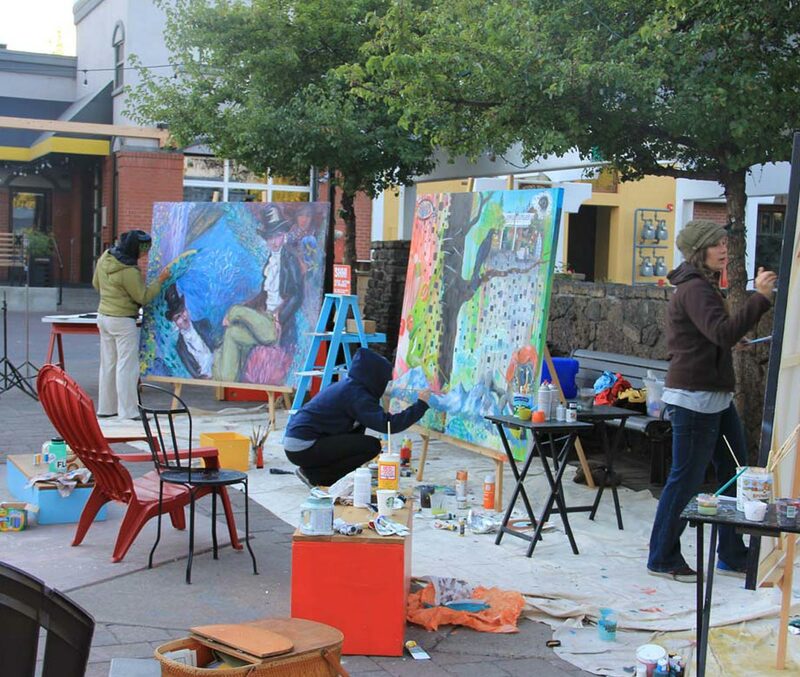 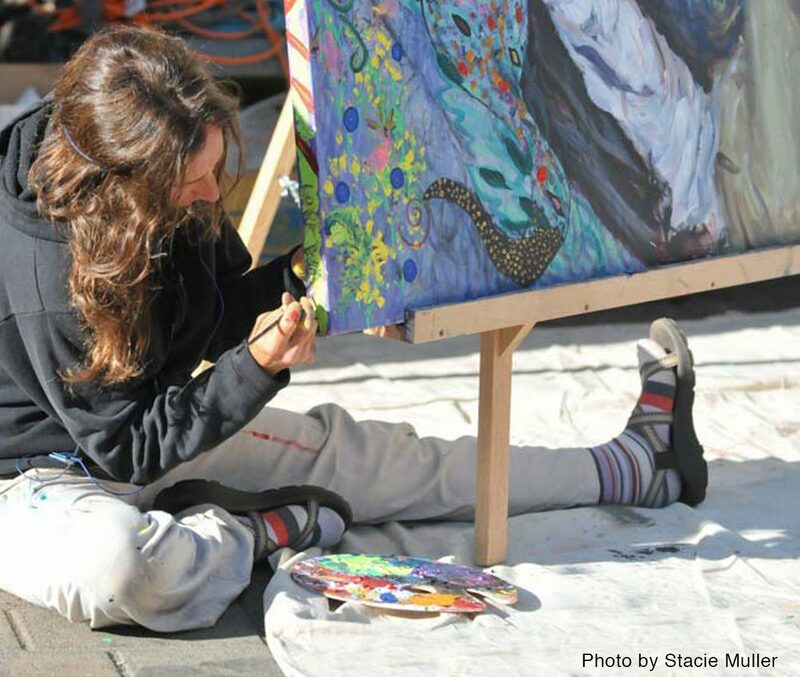 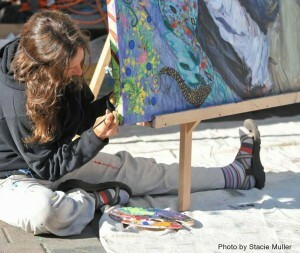 The Painting Marathon is an embodiment of the Base Camp Studio values: Creativity, Belonging and Diversity. 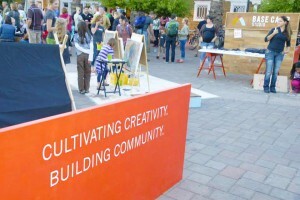 at Crow’s Feet Commons and be a part of the process. 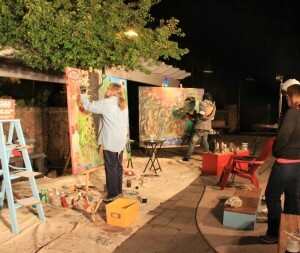 A Partnership with BendFilm: Five Filmmakers have chosen objects featured in their films that will be showing the following weekend at the BendFilm Festival (October 8-11). 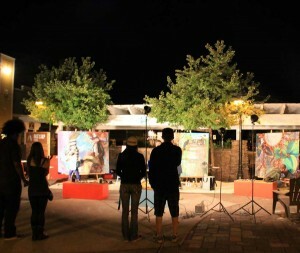 The challenge for each team of artists will be to collaborate with one another to portray these objects in new and unique ways in a limited time frame. 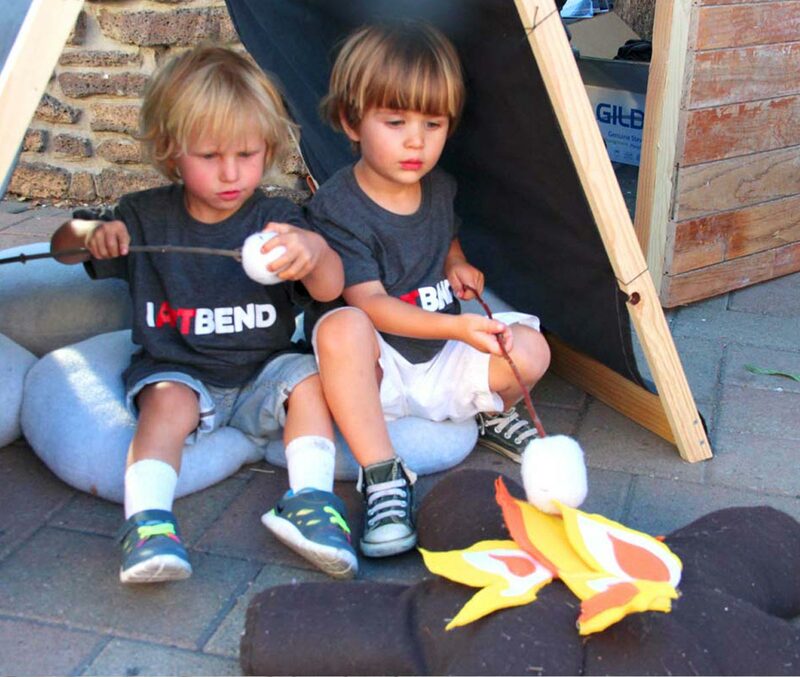 “BendFilm is excited to partner with Base Camp on this event. We believe that our local arts community is growing and will only get stronger when we all work together. 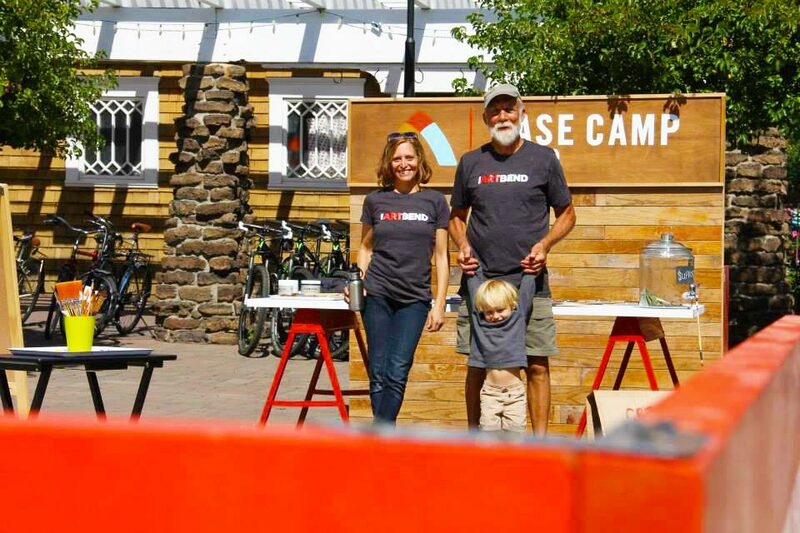 I also think Base Camp’s idea is great and speaks to the way independent film sparks imaginations across all artistic mediums and informs the world around us.” Todd Looby, BendFilm Director. The entire process of public art-making will be filmed. 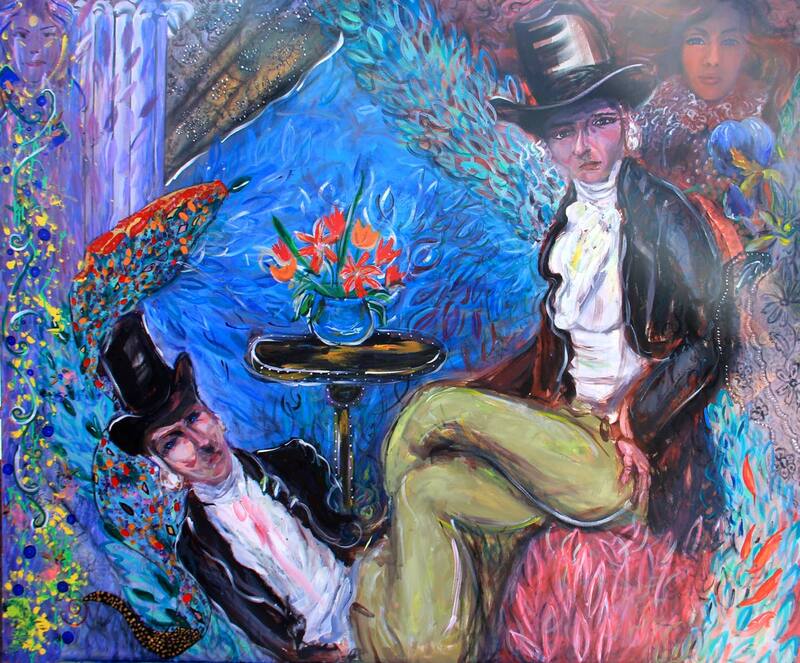 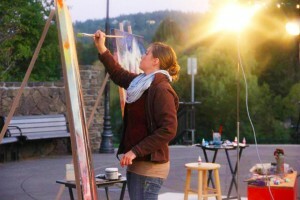 The paintings will be displayed and for sale at BendFilm venues the following weekend. 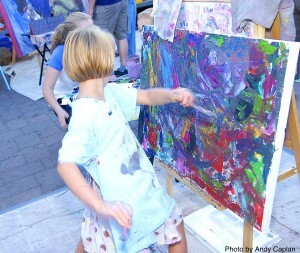 All proceeds to benefit Base Camp Studio current and future programming. 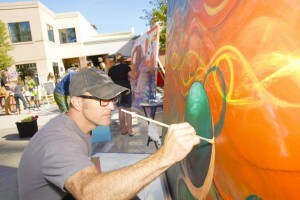 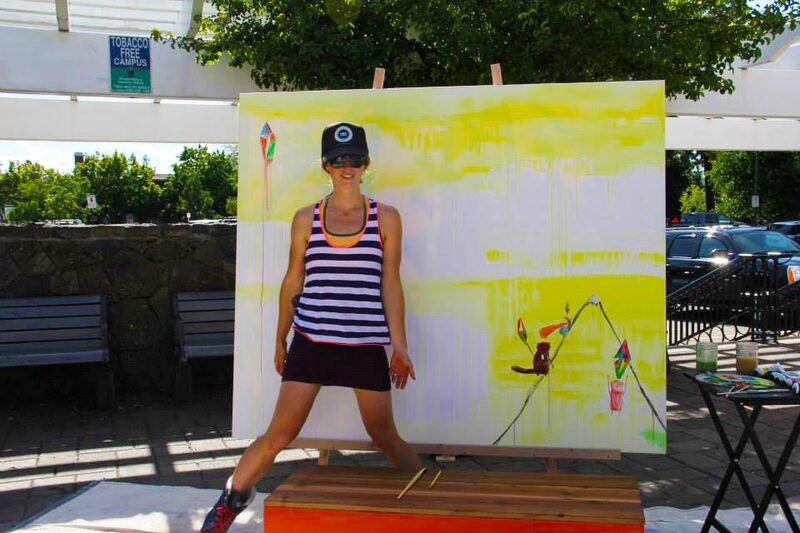 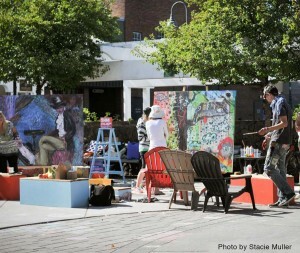 Thank you Bend for making the Second Annual Base Camp Studio Painting Marathon a unique & spectacular community arts event! 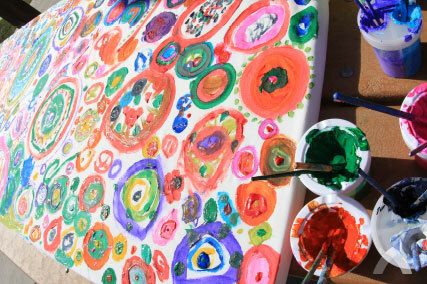 During the COC-OAEYC Conference Base Camp Studio facilitated an art activity for current and future educators, child care providers and administrators to create an art piece reflecting on what makes them happy in their practice. 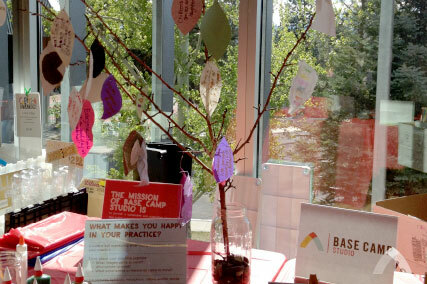 Participants were invited to create a leaf to hang on the gratitude tree. 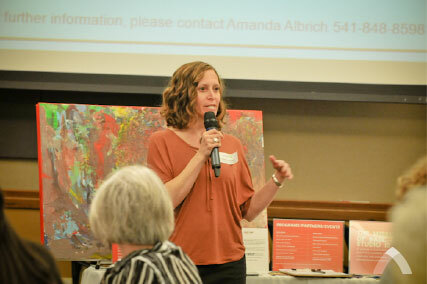 On May 2, 2014 Base Camp Studio facilitated an art activity during the keynote presentation at of the COC-OAEYC Conference at Summit High School, which was open to the public. 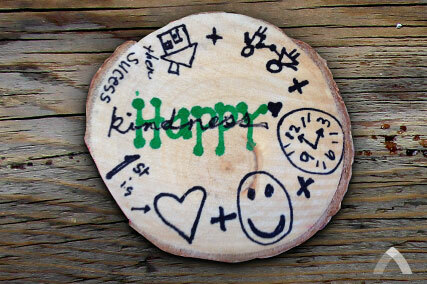 Prior to the presentation attendees were given a card with a wooden magnet. 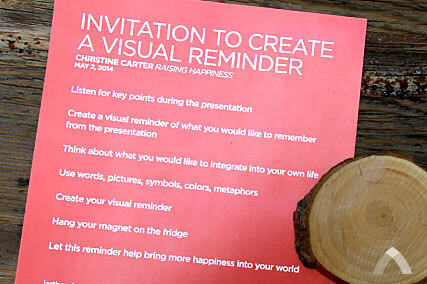 While listening to Christine Carter, author of Raising Happiness, the audience was invited to use markers to create a visual reminder of what they learned from the presentation. 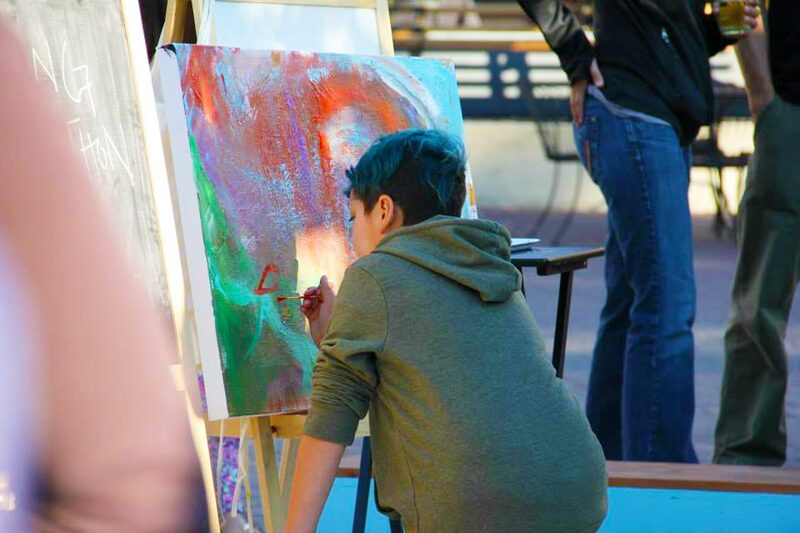 On April 29, 2014 Base Camp Studio facilitated an art activity for the students of Highland Elementary School and their families. 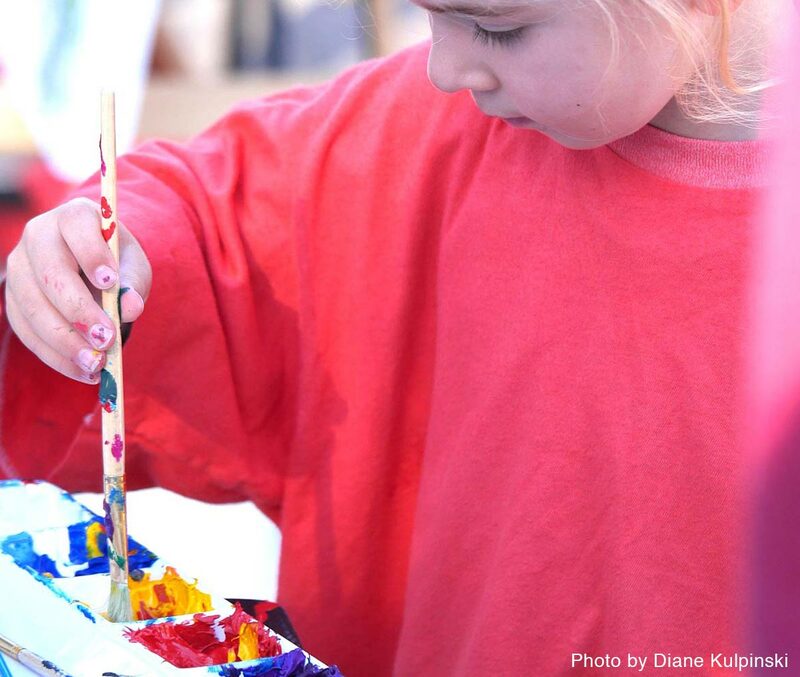 It was a great afternoon in the park getting creative, collaborating and having fun together while completely unplugged from technology. 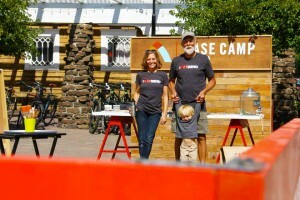 Base Camp Studio presented to ConnectW in February during the annual non-profit showcase. 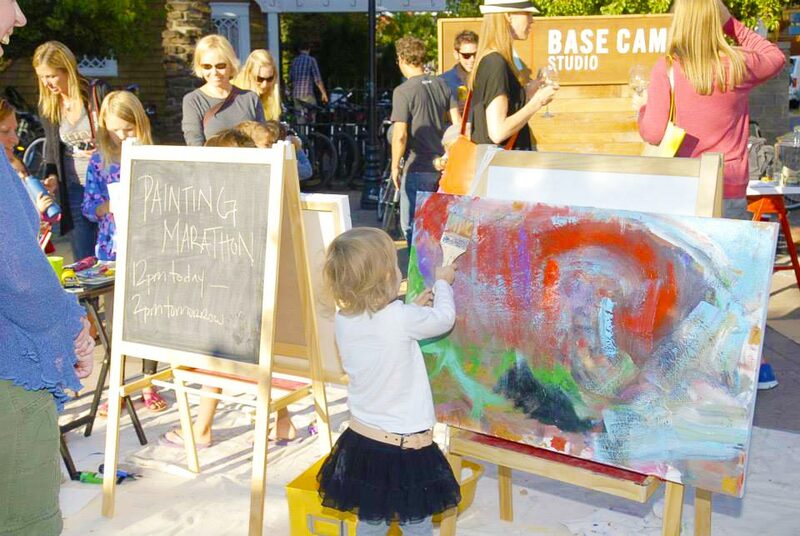 Although we were not chosen to be the recipient of funds raised during their winter gala, Base Camp Studio was able to share our vision with 100 women in our community generating positive feedback and community support for our mission. 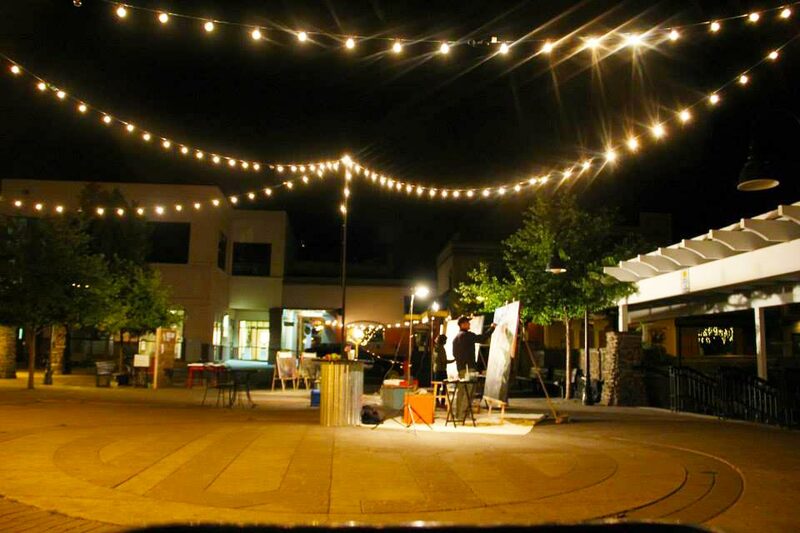 On September 6, 2013 Base Camp Studio introduced itself to Bend with a remarkable outdoor public art event at Crow’s Feet Commons. 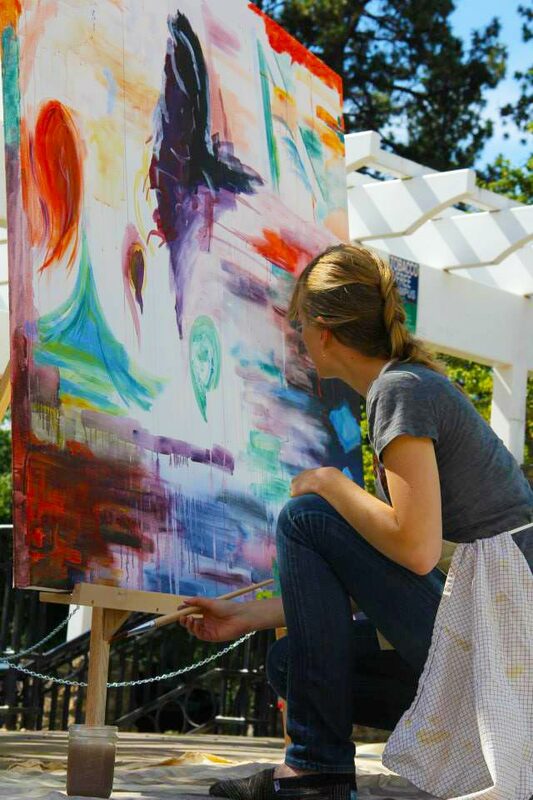 Friday afternoon at noon three artists painted their first brush strokes on the three huge, blank, 5’ x 6’ canvases. Every three hours the artists passed their brushes on to a new set of painters, who took over where they left off. 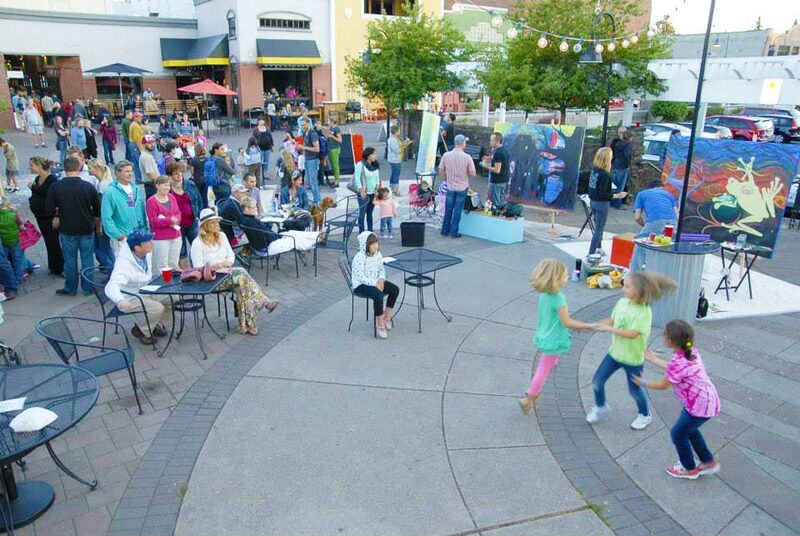 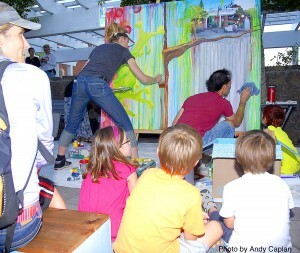 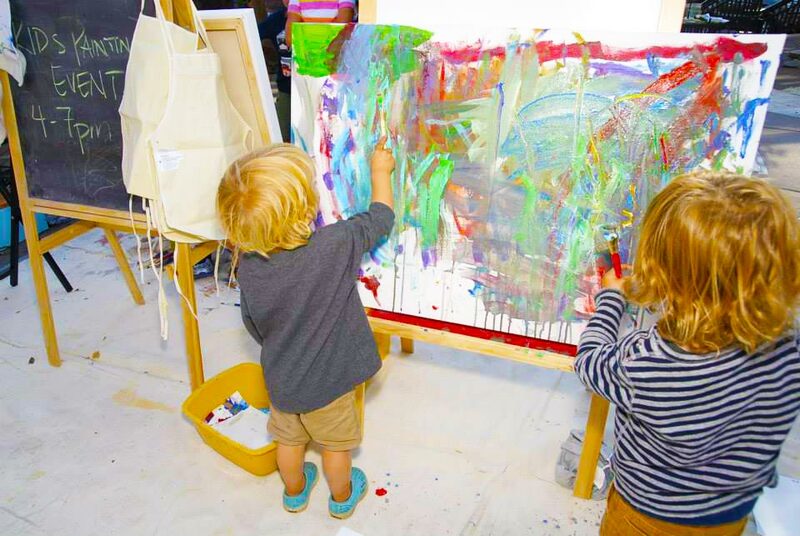 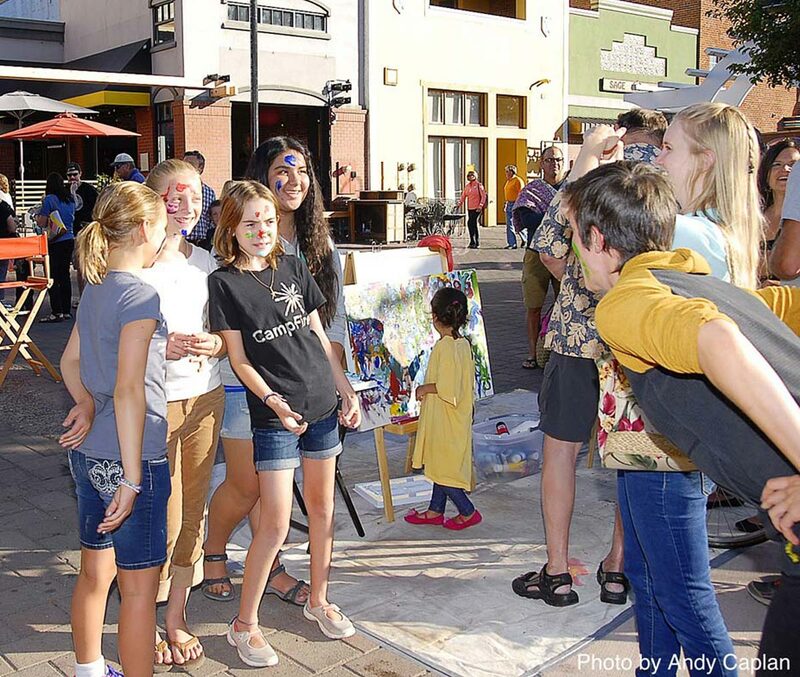 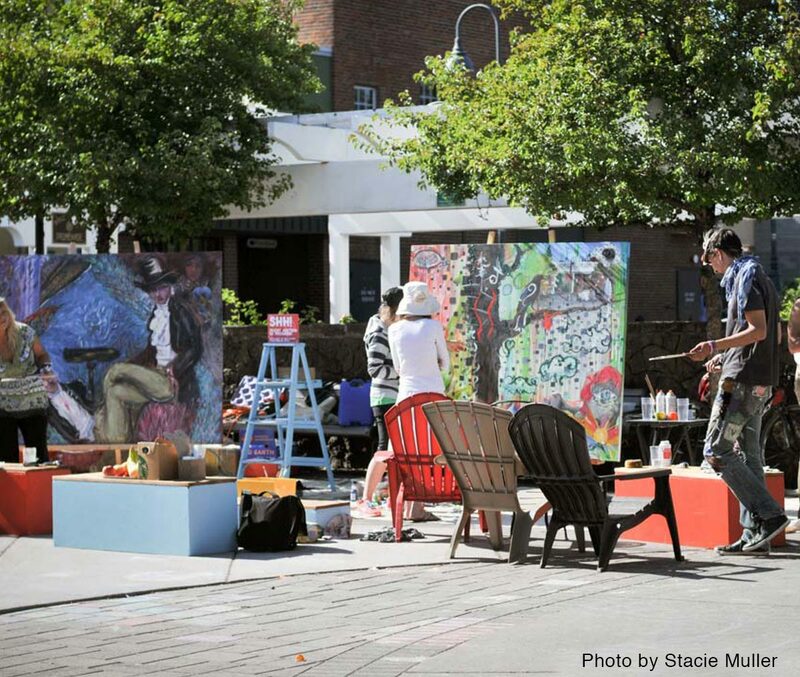 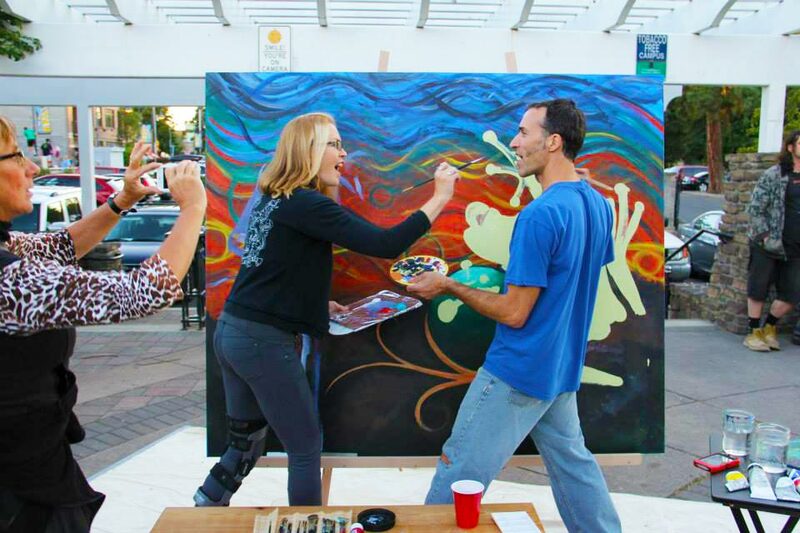 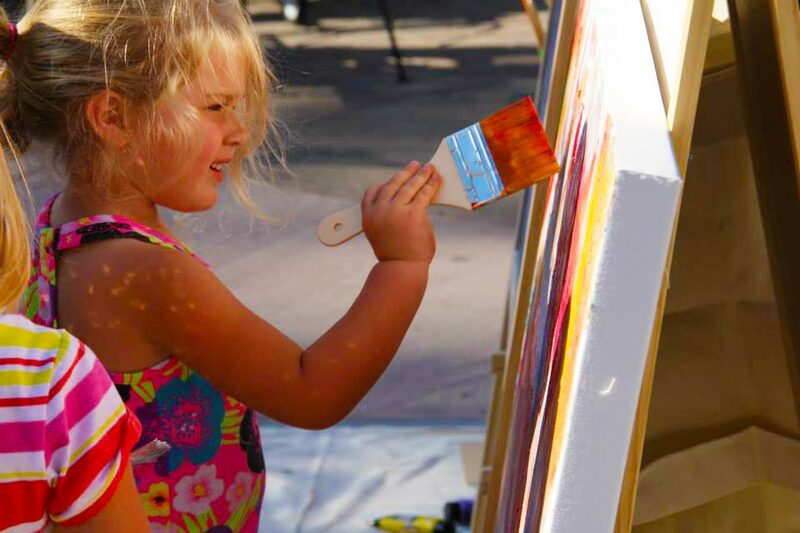 In the afternoon the adult artists were joined by over 120 bend children taking turns on two 2’ x 3’ canvases set up in the plaza. They each painted excitedly for three minutes and then passed their brush onto another young artist. While the kids awaited their turns some of them played in the Base Camp Studio Tent, gathering around a fabric stone fire pit complete with marshmallows. Others took to sidewalk art, covering the plaza with chalk. 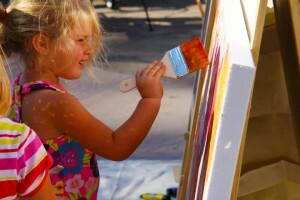 The kids’ event wrapped up at 7pm after each canvas held the marks of at least 60 children! 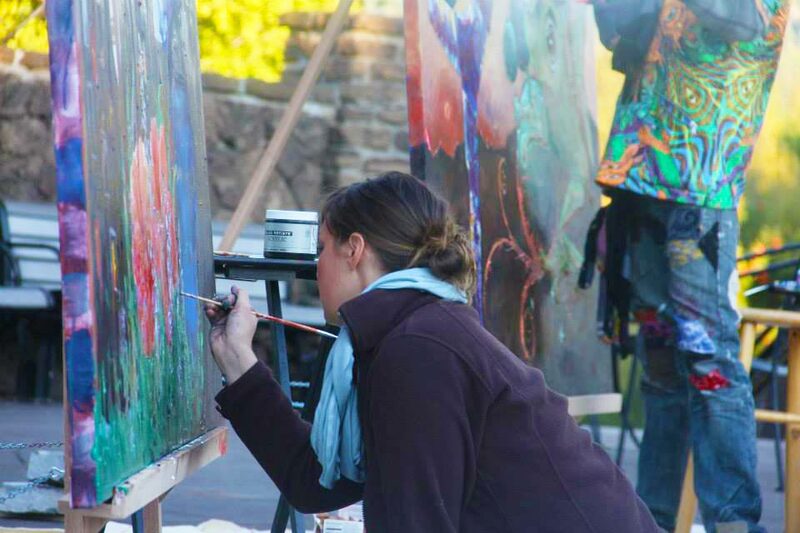 The artwork on the large canvases continued to evolve during the First Friday festivities. Hundreds of people filled the plaza enjoying the spectacle and learning about Base Camp Studio. 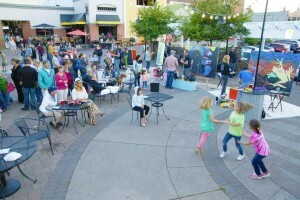 A live band played through the evening and music could be heard thumping from a nearby restaurant/bar until the wee hours of the night. 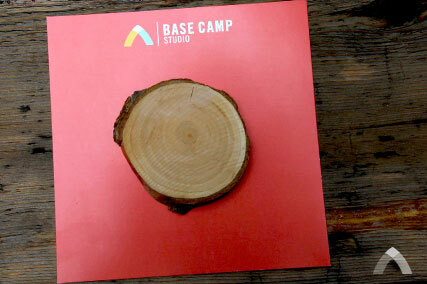 A steady flow of curious Bendites observed and inquired about Base Camp Studio throughout the entire event. 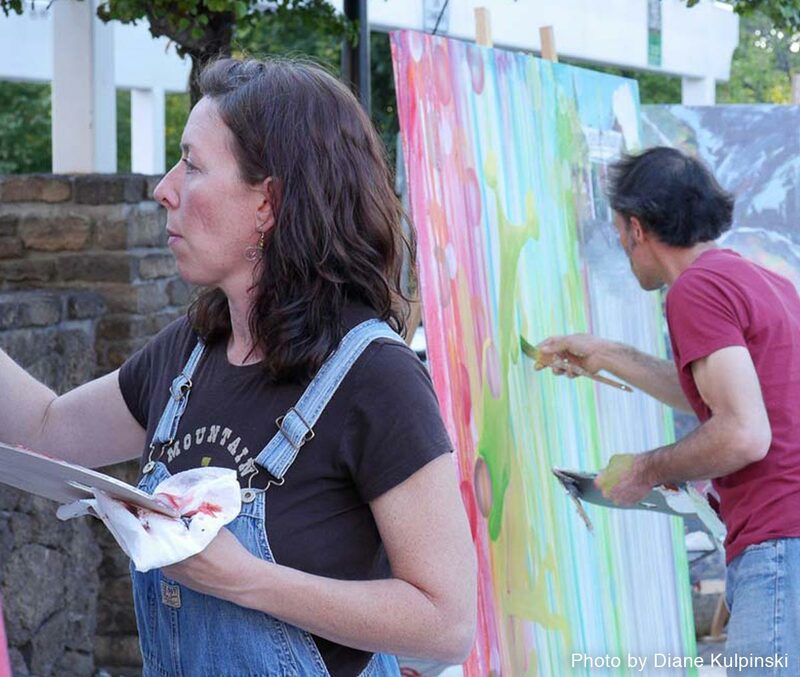 Dedicated artists turned up for each painting session, keeping the event going for 26.2 hours! As the sun rose again the next day the passersby were able to witness the unbelievable transformations that had occurred during the night. The last brush strokes were added to the canvases at 2:12 pm on Saturday, completing the 26.2 hour painting marathon. 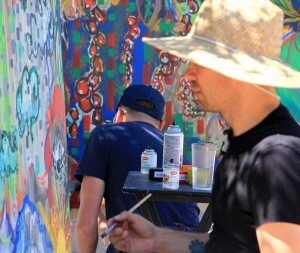 The final pieces are an incredible collaboration of artists who graciously donated their time and shared their talents with the Bend community. 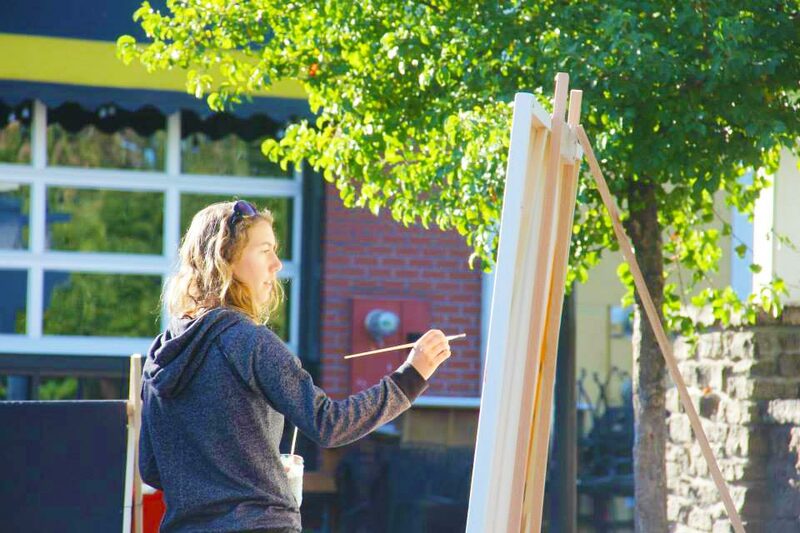 All of the canvases are on display at various locations around town including Barrio, Strictly Organic, Thump Coffee and Umpqua Bank. Paintings are all available for purchase with a donation to Base Camp Studio. 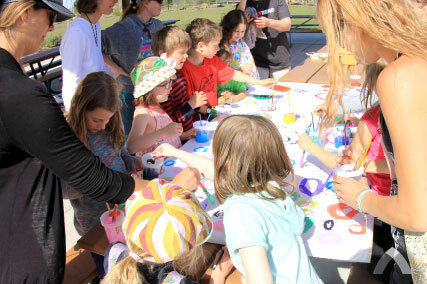 Visit our Facebook page for a complete photo album of the event. 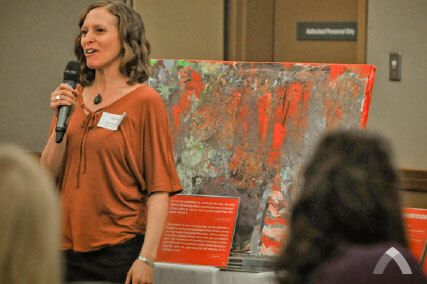 Read more about the event in The Source.